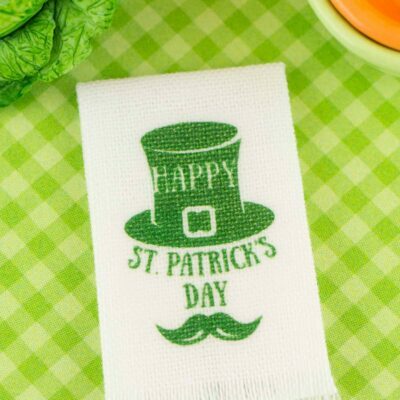 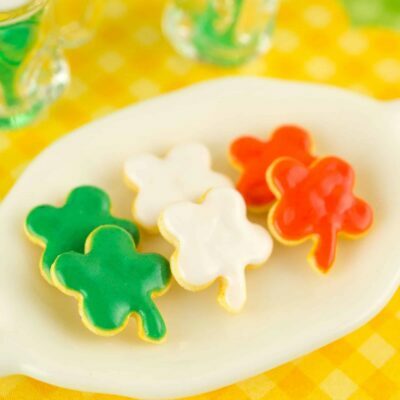 Dollhouse Miniature St. Patrick's Day Cookies - Half Dozen - 1:12 Dollhouse Miniature - The Petite Provisions Co. 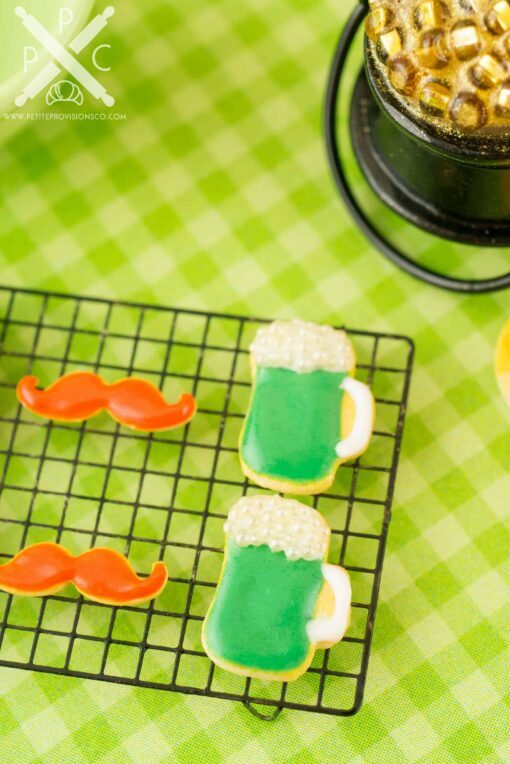 Celebrate the Luck of the Irish with this set of adorable St. Patrick’s Day iced cookies! Whether you have a dollhouse or just love all things tiny, these little decorated cookies are too cute to resist! 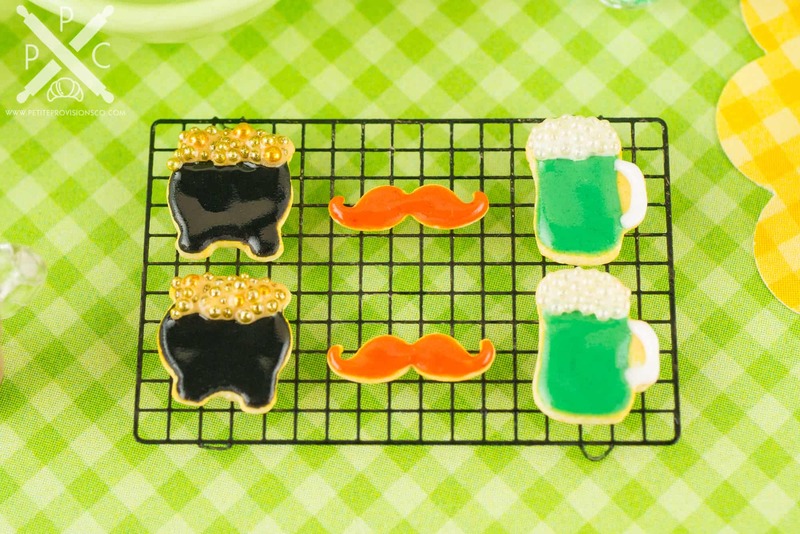 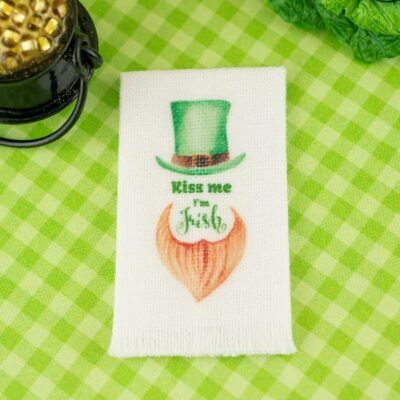 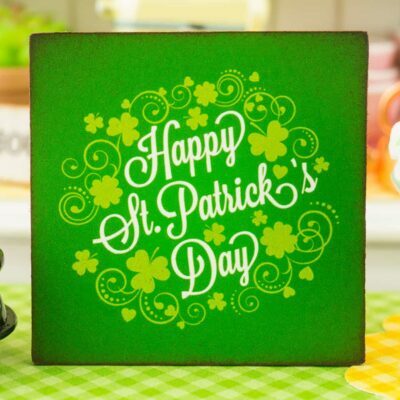 6 iced cookies – 2 each of pot of gold, green beer mug, and leprechaun mustache. 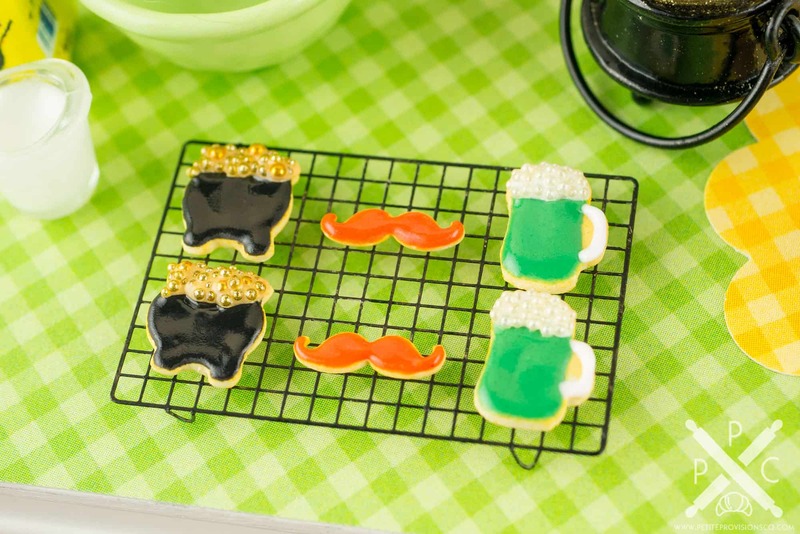 The pot of gold cookie measures about 5/16″ wide. 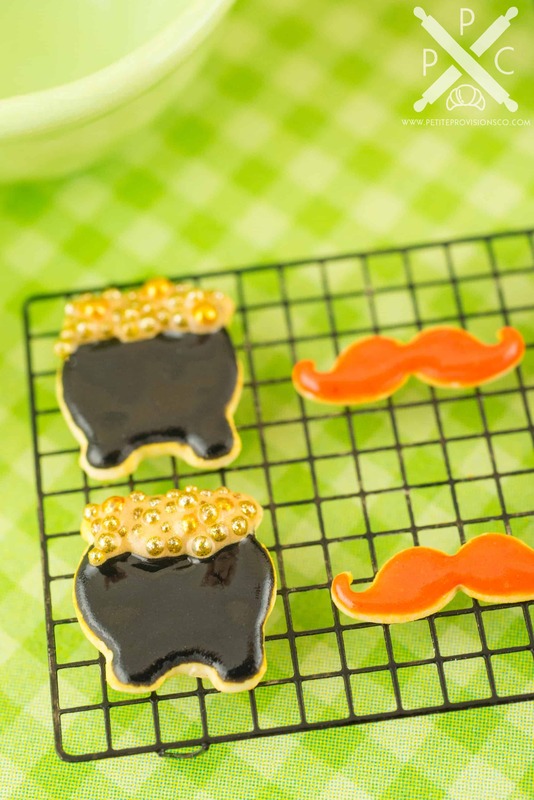 The mustache cookie measures about 3/8″ wide. The mug cookie measures about 3/8″ tall.